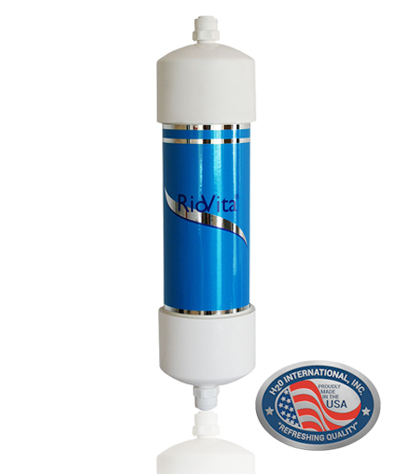 The RV-RC is an inline water purifier cartridge that is designed to be used with modern refrigerators, ice machines and point-of-use (direct connection) water dispensers. The purifier utilizes a GAC/KDF media bed that is specifically designed to remove the chemicals and contaminants found in municipal tap water. 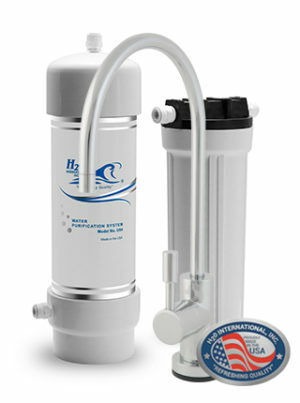 Connects quickly with easily to use push fittings.This purifier is only suitable for areas or applications with low sediment content in the water. SKU: UCU016. 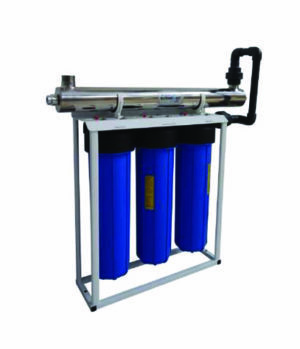 Category: Water Purifiers and Filters, Appliance and Refridgerator Water Filters, Filter Cartridges, Housings, Services and Water Analysis, Replacement Cartridges and Filters.